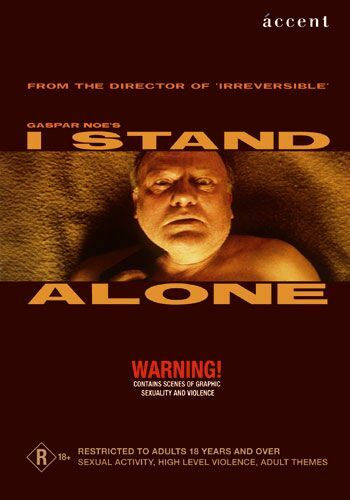 Alone against everyone, 23 May 1999 Author: matthew wilder (picqueur@aol.com) from los angeles Stunning. The writer-director Gaspar Noe's first-person account of a jobless butcher's trip on the down escalator has a lot of superficial resemblances to TAXI DRIVER, but the real unseen hand behind this shattering picture belongs to Louis-Ferdinand Celine, whose scabrous stream-of-consciousness monologues Noe has translated into scorching, nineties angry-white-man-ese. As the butcher's three hundred francs dwindle, and his handgun starts looking more and more appealing, Noe surgically implants us inside the antihero's head using a cascade of hilarious and horrifying nihilistic rants that don't quite resemble anything you've ever heard in a movie.Noe's ingenuity in reinventing the subjective style of TAXI DRIVER is near-limitless, his array of techniques dazzles, from the Godardian intertitles that break the action like a butcher's cleaver hammering a wooden cutting board, to the deafening gunshots accompanied by digital pans and zooms that throw a Brechtian bucket of icewater on the proceedings whenever they calm down. At times the picture suggests one of Fassbinder's fatalistic fables staged as a William Castle horror movie, in a stroke of genius, Noe conceives of the inevitable crack-up finale not in terms of some novel spin on the image, but as a blizzard of scurrilous language--a head self-narrating to the implode point.At times, the butcher's and Noe's nihilism seem to be one--and a posturing, collegiate nihilism it can be. And the penultimate section of the movie thunks along as Noe recreates painfully familiar scenes from TAXI DRIVER almost in toto. But the cumulative effect of the movie is lacerating, the way early Scorsese and Toback must have felt the first time out. 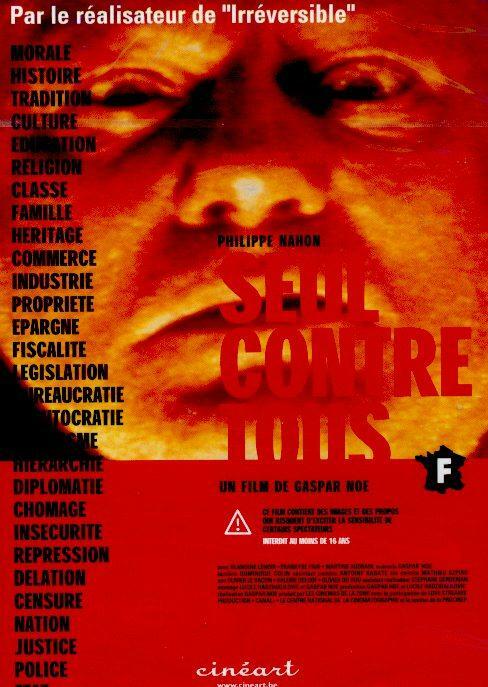 French-language cinema hasn't gotten this kind of wake-up call since the (lesser) MAN BITES DOG.